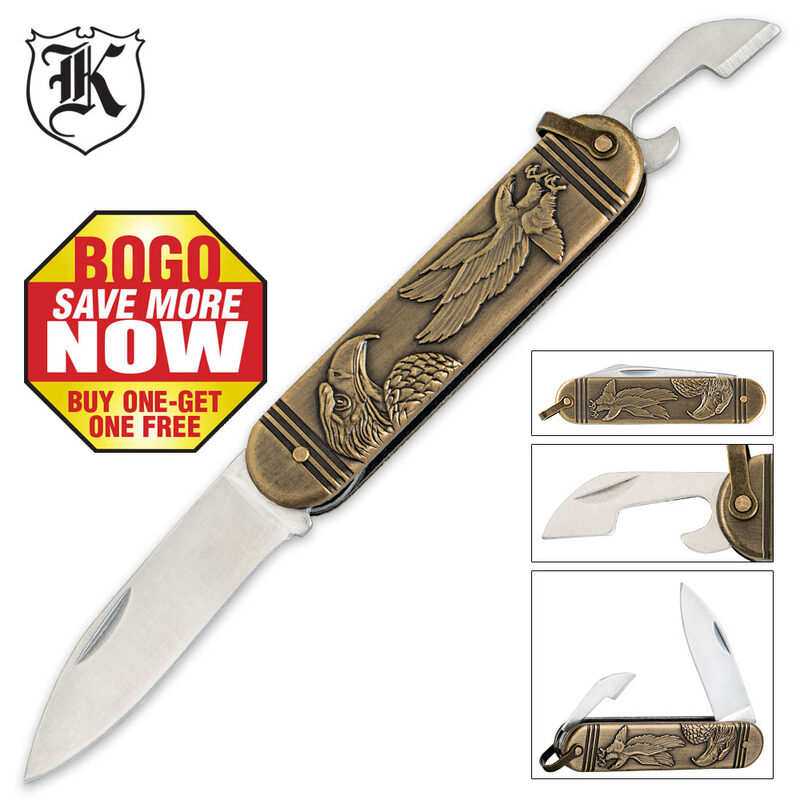 The majesty of the American eagle is elevated to new heights with the Golden Eagle Folding Pocket Knife. The golden cast metal handle is engraved with this patriotic tribute and has a convenient lanyard attachment. The blade is 2-1/2” of rust resistant stainless steel and a can opener is housed in the handle, as well. This pocket knife is 6” in overall length.